The Error code 0xc00007b can fixed using different methods. 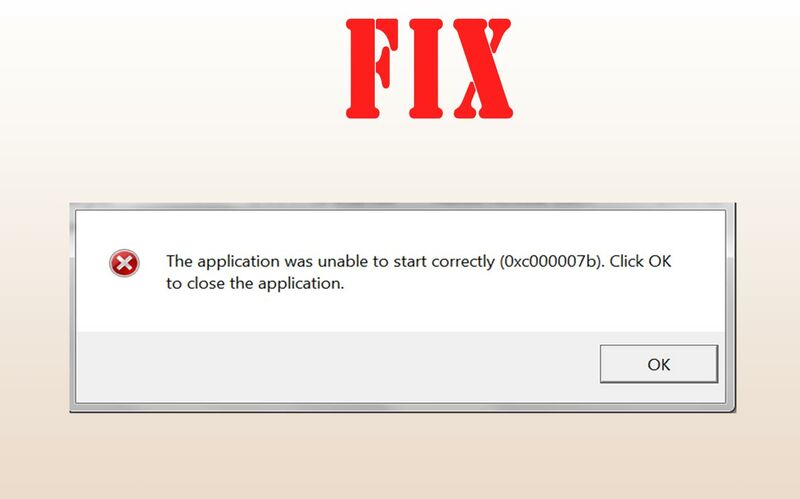 The ERROR Application was unable to start correctly (0xc00007b) on Windows 7, 8, 10 computer is usually occurred when we try to run 32-bit app, Game on 64-bit OS system. Today we will solve this problem and make the application run. Basically there are two – three solution to easily fix 0xc00007b error. Make sure you’re running app as Administrator, this might fix error prompt flashing on the screen. You might be facing this error if you have been recently upgraded to Windows 8.1 or Windows 10. The reason behind this is that WIN10 comes with 4.5 .Net Framework installed however some app requires .NetFramework 3.5 along side to work. Find and Delete the following files: “xinput1_1.dll”, “xinput1_2.dll”, “xinput1_3.dll” and all other files with name xinput1_*.dll. After this you PC will be free from “the application was unable to start correctly 0xc00007b“ error. If the problem is still there, head to the next method of installing updated .Net Framework. Go to Microsoft’s official website and download latest .Netframework 4.6.1. After downloading the rar file / exe file install in on the Windows 10, 7, 8. Some time you need to install downgraded version of the software. With this your Windows computer will get rid off the error 0xc00007b.